Emily Engel of Ludlow, MA had a simple dream: craft handmade “Lil’ Bernie” dolls, sell them, and donate some of the proceeds to Bernie Sanders’s 2016 presidential campaign. She didn’t expect her humble idea to explode and become massively popular, eventually leading to hundreds of orders of Lil’ Bernie dolls. Now, Engel is reaching out and asking for help with her super-successful DIY business endeavor, MassLive reports. In a Facebook post from October 27, Engel said that she is “desperately seeking a U.S. based [sic] manufacturer to help produce Lil’ Bernie.” Engel refuses to outsource her labor and is instead looking for other workers in the Massachusetts area to help her catch up on her hundreds of backorders. Due to the overwhelming demand for the dolls, Engel stopped taking formal orders for Lil’ Bernie dolls after she hit the 108 mark. Any requests following that have been put on a waiting list, which now has over 600 names on it, according to Engel. In order to catch up with the deluge of orders, Engel needs a formal manufacturer to help her out. 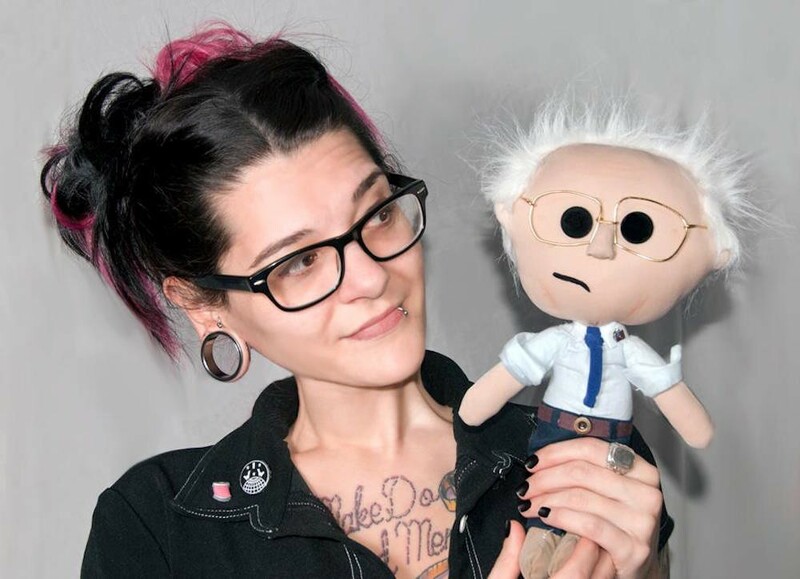 The Lil’ Bernie dolls blew up on social media after Engel made one by hand for fun and posted a photo to her personal Instagram and Facebook page. When people who saw them took a shining to them, the orders began to pour in, and the rest is history. Engel was able to donate some of the proceeds from her efforts to the Bernie Sanders campaign, and met the personal donation cap– $2,700 –within eight days of beginning the project. Since she can no longer contribute money to Sanders’s campaign, Engel said she is considering selling Lil’ Bernie dolls at a reduced price to customers who offer proof that they donated. Lil’ Bernie dolls have made their way across the U.S., falling into the hands of folks in “California, Massachusetts, Iowa, New York, Illinois, Oklahoma, South Carolina, Texas, Kentucky, Florida and Georgia,” MassLive reports. Even the real Bernie has a Lil’ Bernie doll. Engel says she was able to give Bernie Sanders one of her creations when he was in Massachusetts for his campaign stop in Springfield. Engel’s ultimate goal is to sell Lil’ Bernie dolls in the official campaign store. But for now, while flying solo, she’s just trying to satisfy her customers. To contact Engel about an order or potential collaboration or to learn more about her business, head over to her company’s Facebook page. Photo via Facebook/Bx Custom Sewing.